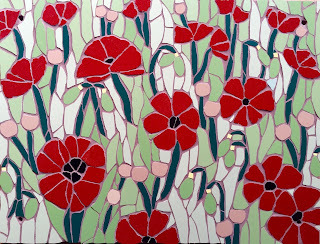 I wanted to share with you the first part of my latest and biggest ever mosaic commission. 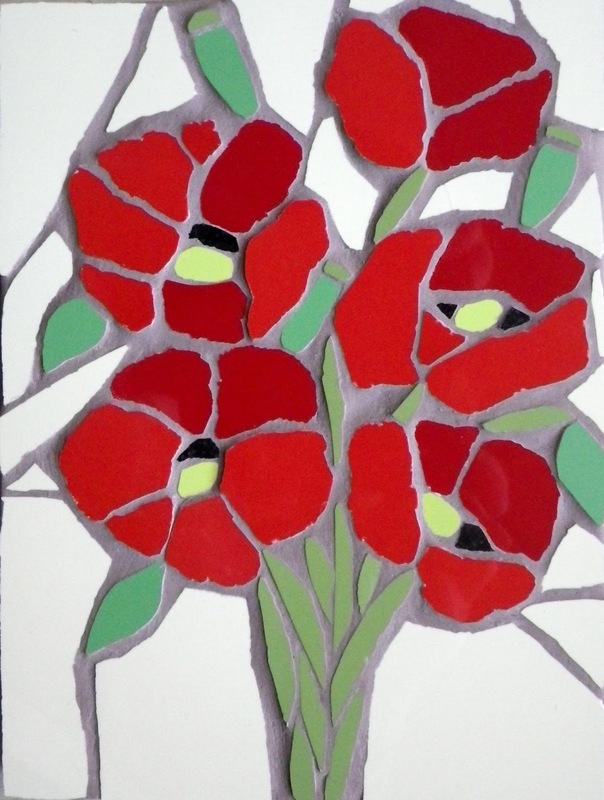 It is two floor panels for a new build house near Poole harbour, in Dorset, UK. 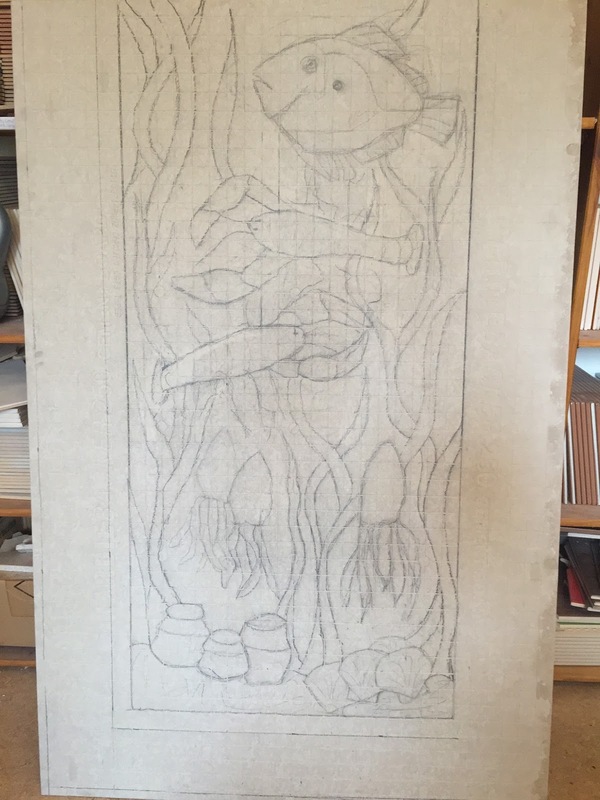 My client wanted a sea/fish themed mosaic, starting from the sea bed working its way up to the surface, ranging from crustaceans to sea bass and John Dory - right up my street! 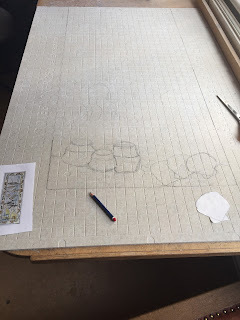 After the necessary discussions and planning for a commission of this size, I stocked up on the cement board, porcelain tiles, glue, sharpened snippers and I was ready to go. My first task was to draw the design on the first of two cement boards - easier said than done! Such a lot of of looking, rubbing out, redrawing and looking again goes on, I can tell you! 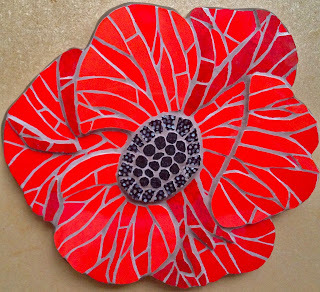 And then things can change a bit when I am actually making it - it has got to feel right. I take a lot of time doing research on Goggle images to get the different element in the design to look as real as possible, within the confines of my art. Below is the first basic design. With the drawing completed, I then looked at the range of colours available to me of the porcelain tiles, and decided on the colour palette I want for my first elements, the lobster pots and scallops on the sea bed. 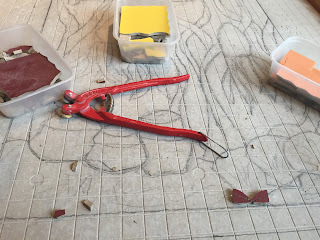 I snip the tiles to the shapes I want them, and then stick them on the cement board with PVA glue. 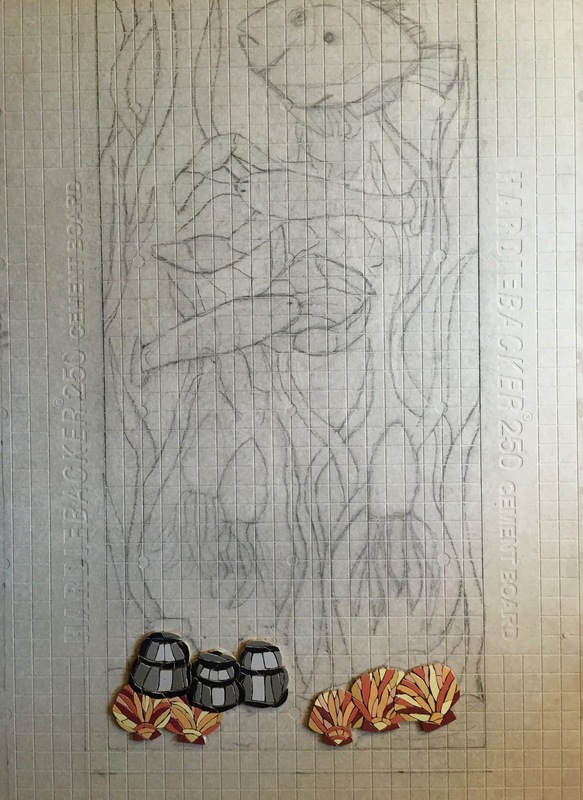 In my next blog post, I will show the progress of the squid and the lobsters - both will be tricky, but I love a challenge! I am so enjoying making this mosaic, and would love to make more of this type, so if you, someone you know, or a business might be interested in commissioning an original work of mosaic art, do get in touch - felicityball@justmosaics.co.uk - and we can discuss the possibilities. Thank you for reading and do look out for the Part 2 blog post of this project.